A product listing for the new Asus/Nexus Android tablet seems to have been posted to the website of a Russian retailer. The listing confirms pretty much everything we already knew about the tablet from the benchmark leak, including the single-core CPU, Mali graphics chip, 1MP camera, and screen resolution. But the one thing I don't see in the listing is the rumored microSD card slot. Instead it seems that this tablet has 16GB of storage, just like a number of my readers have been saying all along. This tablet also lacks the Nexus branding and instead carries an Asus logo. You can see the logo on the back, above the single speaker. I guess that means it won't actually be a Nexus tablet, but more like a poor relation / idiot cousin. If not for the price, I would be willing to believe this listing. But the pre-order price is listed at 6,990 rubles, and that converts to ~$227 USD. That seems awfully high to me. On the other hand, this website does carry the Nexus 7 (3G) with a list price of 13,990 rubles. So perhaps the higher prices come from taxes and import duties. And if these prices are correct then the US price for this tablet would be around $150 (half of the $300 price tag for the Nexus 7 3G). 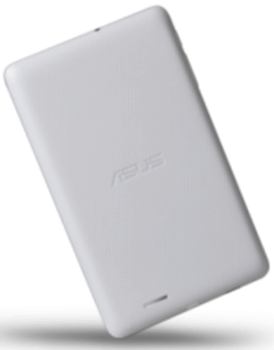 Given that you can get the Kindle Fire for $160 here in the US, I don't think Asus will sell the ME172V here in the US. In any case, I'm not so sure we'll see this tablet at CES. Now that it is an Asus product instead of a Google product, we can probably guess that Google won't be launching it from their booth at CES. And since Asus won't have an official presence at CES this year, I don't see how they could show off this tablet. Just a cut above a crap-pad. Even a $130 asus 7 is still a crappy deal when compared to a $160 Kindle Fire. Just because they hate Amazon doesn’t mean they can’t do math. There are better deals. Right on, Right on, Mr. Nate.